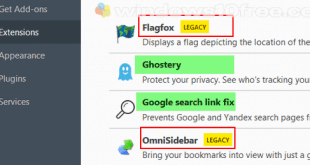 Tools that help you migrate from your old Windows XP PC to Windows 8.1 or Windows 10 PCs and keep your folders and files in place. You can be easy moving folders, files, current setting and more with PCmover Express. Laplink has partnered with Microsoft to provide tools that help you easy to transfer files, folders, current setting and more, from your old PC (e.g Windows XP PC) to newer PC (e.g Windows 8.1 or Windows 10). And for limited time (September 1, 2015 through August 31, 2016) Microsoft and Laplink offering this tool for free, yes it’s FREE, zero cost! Migration prepares and gets started. 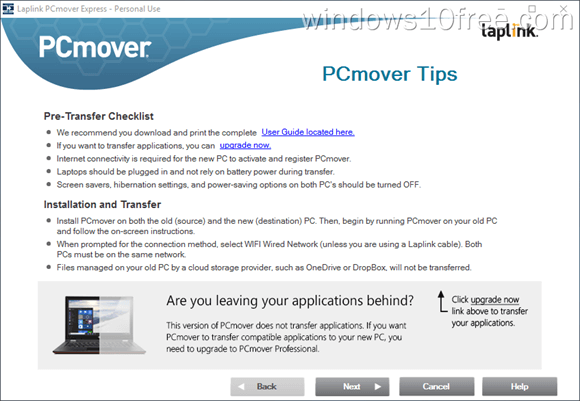 To get started you need to download the PCmover Express installer first. Internet connection it’s required to use PCmover Express, get ready by connected your old computer (Windows XP PC) and new computer (Windows 8.1 or Windows 10) before you start. 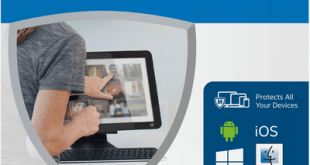 PCmover Express provide an easy wizard and will guide you step-by-step to make your migration process from your old PC to new PC run smoothly. After you download the PCmover Express then install it on your both PCs (old and new) to transfer your setting, files, folders and more. In the process, the wizard will always help you along the way. Select folders and files on your old PCs and transfer it to your new PC easily. If your Windows 8.1 or Windows 10 PCs have been customized and personalized, the process won’t be affected to your data, preferences and settings. So it’s safe to move. If you have an issue or question during migration, you can contact Laplink directly at 1-877-534-9644 or visit a Laplink support page, and they will help you. PCmover Express ONLY run if destination PC is Windows 10 or Windows 8.1 and source PC with Windows XP or later installed. 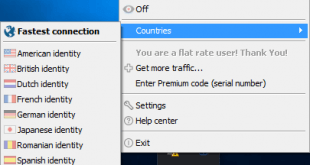 PCmover Express will not transfer you apps to new PC. PCmover Express free offer for personal use only (non-commercial use). Domain-joined PCs is not supported. For commercial use, you need to use another version of PCmover Express.